*All dances are 8-11:30 pm and admission is $10.00 unless stated otherwise. ** Please wear soft-soled shoes to protect the dance floors and refrain from wearing perfumes, colognes and other highly scented products. All dances are drug and alcohol free. 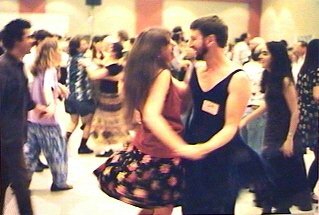 Here's a great picture of Karen and Hal taken at the Dance Flurry in Saratoga, NY.